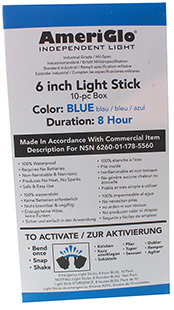 AmeriGlo 608HB10B 6 8 Hour Blue Waterproof Light Stick/10 Pack in. 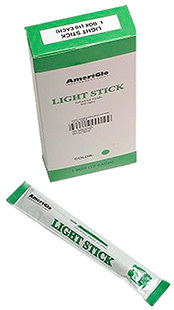 AmeriGlo 612HG10B 6 12 Hour Waterproof Green Light Stick/10 Pack in. 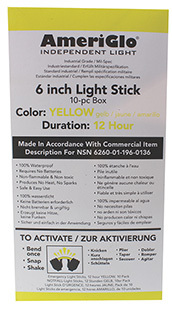 AmeriGlo 612HY1OB 6 12 Hour Yellow Waterproof Light Stick/10 Pack in.